When launching a podcast, you need to set a schedule, be consistent and stick to the plan. You need a plan! And we don’t mean “a plan to make a podcast.” We mean “plan” your podcasts! Figure out how often you will publish new episodes. A successful podcast produces fresh material on a consistent frequency in order to create and meet expectations by viewers/listeners. Statistics show that podcasts that have new episodes weekly will grow at a much faster rate than those that publish on a less than weekly schedule. Plan content for future episodes in the form of a schedule or map. As you create your first few episodes, it is easy to disregard this tip. Many podcasters make this same mistake. The last thing you want to do is improv your way through an episode. Schedule time to create your content and make sure the content you want to produce can be managed with the time you have available. Many former podcasters complain that they couldn’t find the time to record their podcasts. You need to be like the postman, you need to deliver your content on a schedule that your listeners can plan for. If you decided to record on a Monday evening block out your Monday evening schedule for the next year. If you deliver your shows on time, your audiences will build your show into their routines. If you miss an episode make sure you let you audience know. 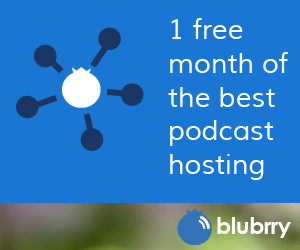 As a rule of thumb you should not miss a single episode your first year of podcasting. If you keep to your strategy, plan lots of content and manage your time well, you should have no problems preventing podfading.